It is essential to know how to password protect a PDF as the internet can be brutal sometimes in term of privacy. PDF stands for portable document format which is one of the most used medium to transfer documents on the internet. One can be sharing important, personal as well as confidential documents online. There is always a risk of data being exposed by threats like virus, hackers or third party websites working as middlemen. Which is why a password protected PDF is a must have these days. You can protect PDF from copying and editing too. In this blog, we’ll walk you through different ways to protect and encrypt PDF for free. With the document sharing feature, you can create a private link for your document and send it without being scared of anyone accessing the PDF. 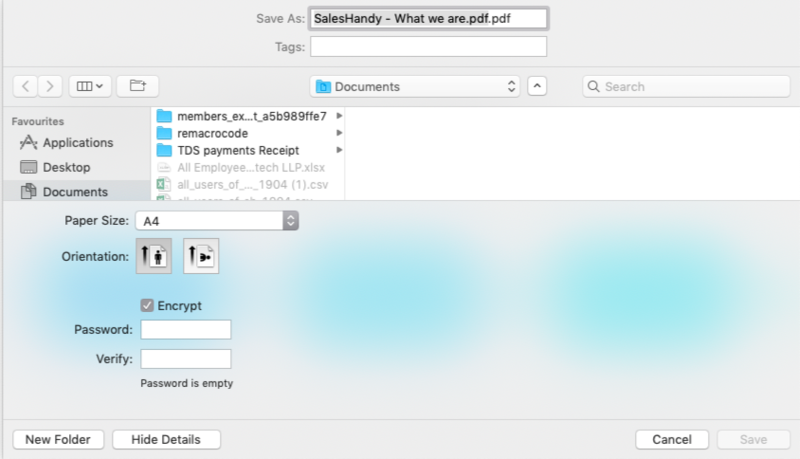 Here are the steps to password protect PDF with SalesHandy. Password Protect your PDF Now! When the majority of the world is using Window, it is important to know how to protect a PDF offline through windows. Windows provide the software MS word in their Microsoft office. 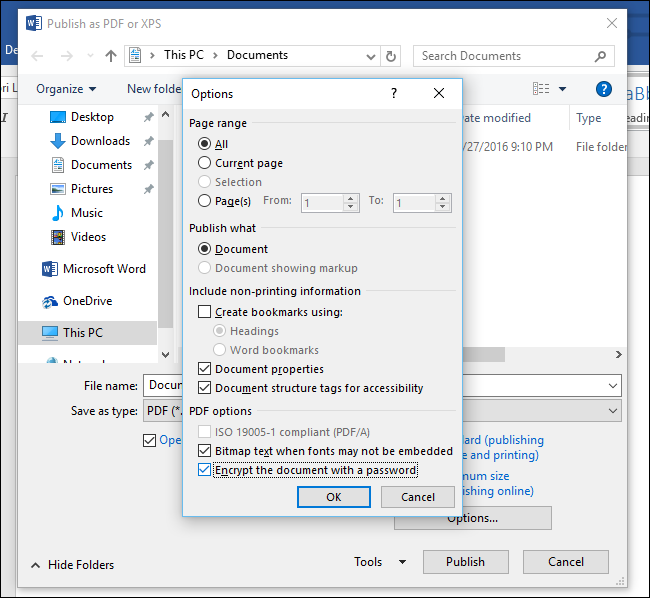 There is a way to password protect your PDF with MS word. Save it as PDF if it is not saved already. 5. Type your password and click Ok.
Open the doc that you want to password protect with Preview app on your mac. 5. Type a password, then retype it to verify the password. These steps would help you to password protect the pdf in mac. You also have an option to password protect PDF from getting copied and also protect PDF from copying. These options are helpful to people who work in the writing industry where intellectual property is the gold, and you need something to protect that gold from getting stolen. The difference between adobe acrobat and adobe reader is that adobe reader is free of cost and lets you read all the PDF files. Adobe Reader also has an option of password protecting your PDF. Then select the option of Encrypt with Password. If you receive a prompt message regarding password protection, select Yes to change the security. Adobe reader also provides you with password strength with helps you determine how protected your PDF is. Open your PDF in the PDFMate software. Enter your password and give the permissions accordingly. Click on Ok and save the PDF. Following this procedure is another way to password protect your PDF. 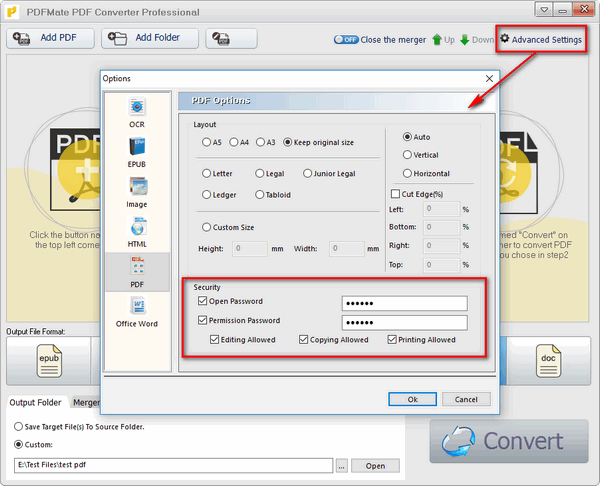 Other than SalesHandy, if you want to password protect your pdf online, you can use pdfprotectfree. It would protect the pdf but won’t give you access to any user engagement data. Drag and drop your PDF in the box given. Protecting a PDF is a straightforward job, and there are lots of ways available to do so. You can ensure safety once you have protected that PDF and also make sure that nobody else gets the access to it. SalesHandy lets you create a link which makes it extra safe on the internet as a pdf might be intruded but a link is more difficult to get into. This ensures security and lets you live a care-free life. Bottom line, whenever you are sharing a pdf freely on the internet, make sure it is password protected in one of these ways.